Always Smiling :) | Today, give a stranger one of your smiles. It might be the only sunshine they see all day. 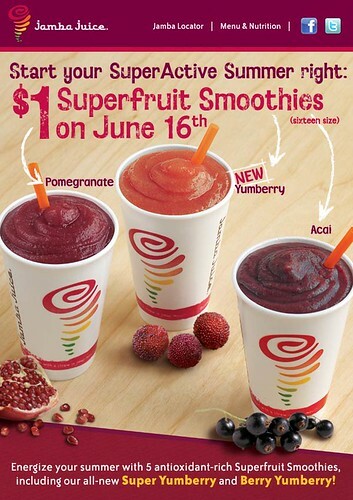 This coming Wednesday, June 16th, Jamba Juice is offering their Superfruit Smoothies (16 ounces) for just $1! It looks like there is five different smoothies to chose from. 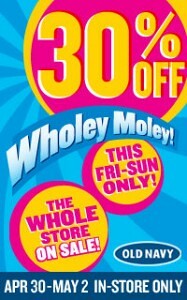 I would recommend calling ahead of time to make sure your store is participating in this promotion. Through tomorrow, Fred Meyer is having their “Founder’s Day Sale”. 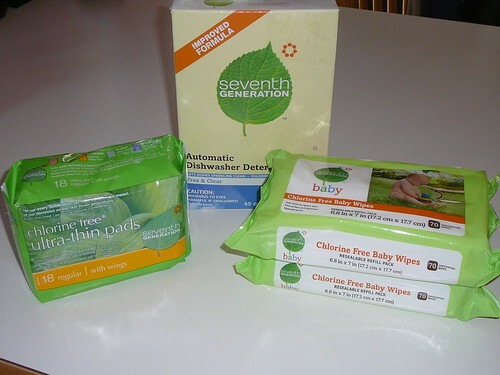 I saw that all Seventh Generation products were 50% off which is a pretty good deal. On their website, you can sign up to print out coupons which basically makes everything is an additional $1 off. On the dishwasher detergent, there was a $5 mail-in rebate when you bought three Seventh Generation Products. I ended up getting 4 (as you see in the picture). I got two packs of baby wipes (part of a gift basket for a friend who is having a baby), a box of dishwasher detergent, and some feminine hygiene products (the last two I thought I would try because I have been meaning to). With the items being right about $2.35 each, $1 off each item (making it $1.35) and having the $5 off, I actually made money! If I would have only bought 3 items, I would have made about $1.50 (before tax and a stamp) but with 4 items, I made about .50 cents which is basically 4 free items! The Seattle Public Library is now checking out these Kill-A-Watt Electricity Usage Monitors to monitor power consumption for anything you might plug into an outlet. Here is some more information from the Seattle Public Library HERE! You will probably be amazed how much electricity small appliances plugged in can use, even when not in use. I used to work there so I know they can have some great things on clearance (especially for kids and babies) and with an additional 30% off, you could probably find some great deals! Starting today (4/28) through 5/3 (Monday), Macy’s is having their Friends and Family Discount for 25% off sale, clearance and regular prices, with exceptions listed. To print your coupon for in-store and online purchases, plus free shipping on orders $99 over Click Here! 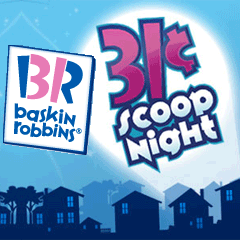 Tonight from 5-10 pm, Baskin-Robbins locations around the country is having 31 Cent Scoop Night. You can stop by and choose up to three different scoops of ice cream and pay only 31 cents per scoop! According to their website, a “House Party™ lets people who really love something host a special event featuring a fun, free, exclusive experience sponsored by the world’s leading brands”. According to the directions, all the clothes were supposed to be washed in the Green Works Natural Detergent and wiped down the other gear with Green Works Natural Compostable Cleaning Wipes. Then guests were supposed to bring their gently worn kids clothing, toys, or other great to swap. Needless to say, the weekend I was planning on hosting, ended up not being an ideal weekend and things have been NUTS for the part month and it’s showing no signs of slowing down. 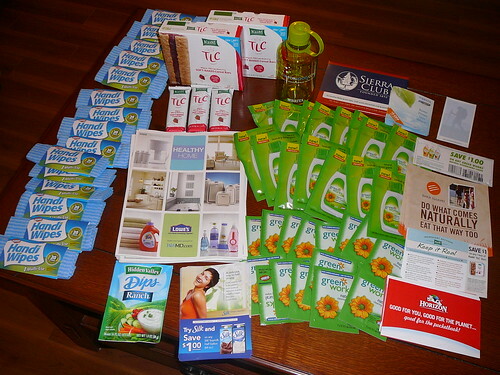 So in honor of Earth Day, I posted that the first 10 people who contacted me on facebook, I would mail them an awesome package with free samples and coupons (which went out on Saturday). The awesome part is, they give you a bunch of suggestions on how to make it a “cool” party instead of everyone coming and leaving 5 minutes later with samples and coupons. I’m super excited for future parties and hope to actually be able to host one again! Have you ever hosted a House Party? What was your experience? 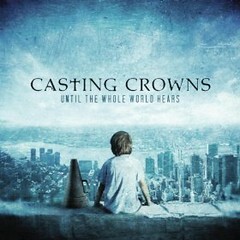 Today only, you can get the MP3 CD of Casting Crowns album titled Until The Whole World Hears at Amazon for $2.99. That’s like buying 3 songs, getting 9 free for a total savings of $12.49! Over the past month I’ve been trying to come up with a new theme or something for this blog and honestly, I don’t have it. 🙂 I’ve decided I’ll just start posting things that have been going on with me and maybe something will eventually come out of it.